The heat and humidity of summer can combine to make a very uncomfortable environment for dairy cows and be a concern for dairy producers. To cool down, cows will raise their respiration rate and start panting, which leads to increased salivation. That, in turn, reduces buffer capacity and increases the risk of ruminal acidosis. 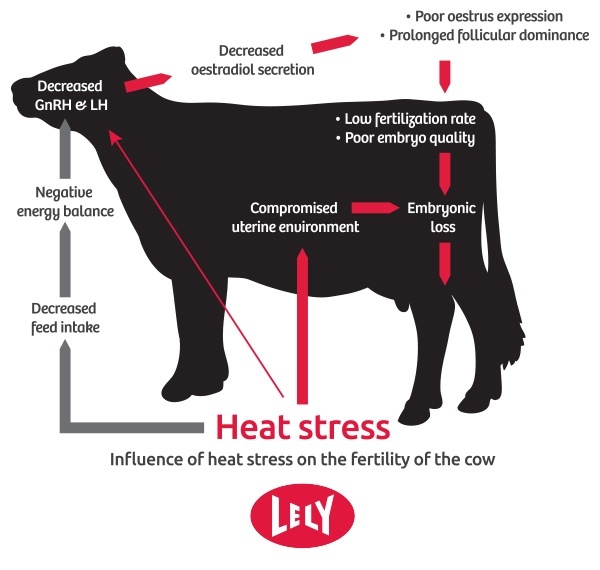 Additionally, cows suffering from heat stress spend two to three hours per day less lying down. This increases the chance of claw disorders. Good claw health is necessary for optimal cow flow to the milking robot. Below are a few considerations in reducing heat stress. These measures do not only apply to lactating cows, but to dried-off cows and heifers as well. Water: High-yielding cows may drink up to 50 gallons (200 liters) per day. The general rule of thumb is that the water required by a cow equals four times her daily milk yield. Housing: Cows need ventilation to cool off. Natural side-ways ventilation in open-sided barns, together with mechanical ventilation from 60ºF (20°C) onward, is the most effective. Remember to check the louvers as well. Dust can reduce air flow by 30 percent. 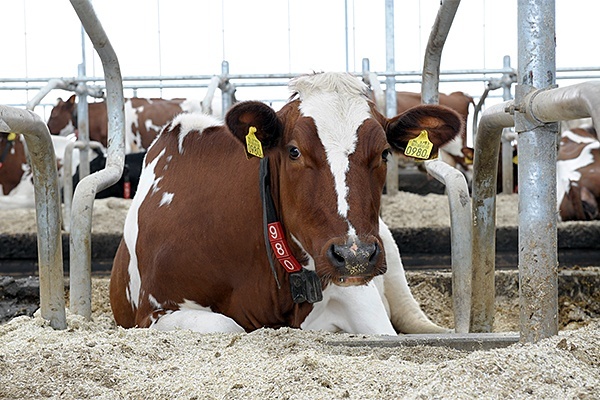 Feed management: Feeding more often, at cool moments of the day, keeps the ration fresh and tasty as well as stimulating feed intake and preventing fermentation. Pasture: During hot periods, it is advisable to have the cows in pasture only during the night or during the cool parts (evening, early morning) of the day.